We launched our crowdfunding campaign! [Edit 26/11] AND TODAY… WE ARE 45% FUNDED. This campaign will allow us to buy equipment for not only our first exhibit but also those to come, and will help us organize our Premiere Exhibition-Event that will help us attract sponsorship for sustainability. 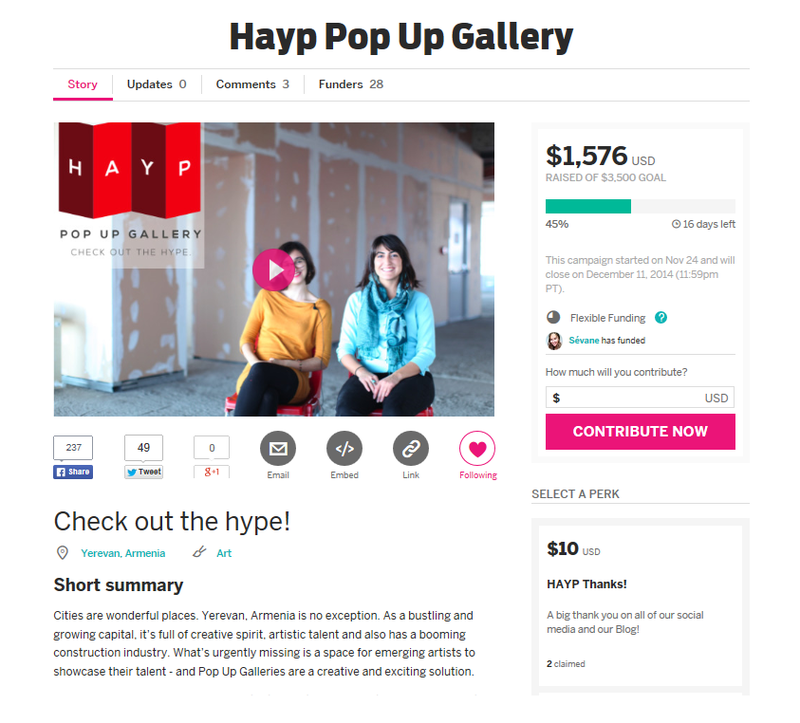 Setting up our Pop Up Gallery will require $3,500, and we have 17 days to reach our goal. Our first exhibition “Frame of mind: Context and Perspective” will pop up on the 12th of December… So the countdown begins! Photo credit: Lilit Markosian made this banner for our facebook page. Cheers Lilit! 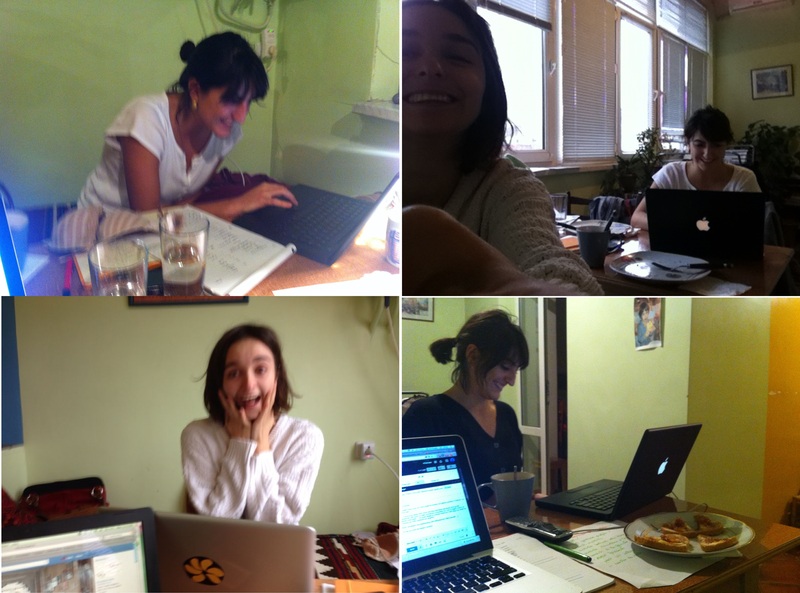 The 24 hours that preceded the launch were dedicated to writing and re-writing material for our Indiegogo page and our social media, including uploading pictures and videos, sorting out the Armenian bank account and… occasionally freaking out. We were at this table for almost 24 hours straight, we may or may not have showered in 2 days. We spent the next 10 hours telling everyone we know about the launch, preparing the follow-up, and translating and uploading subtitles for our presentation video. We are planning on going global, and we are lucky enough to have a few polyglots on our team and network, so you can now watch the video with subtitles in English, in Armenian (big thanks to Lusine Vardanyan and Mary Hakobyan), in Russian (cheers to Natasha Sekratereva), in French (thanks to yours truly), in Italian (brava Anna), Spanish (viva Oscar), and possibly even Japanese and Portuguese will be coming soon as well. HAYP knows no language barrier, and our Pop Up will have no frontier. 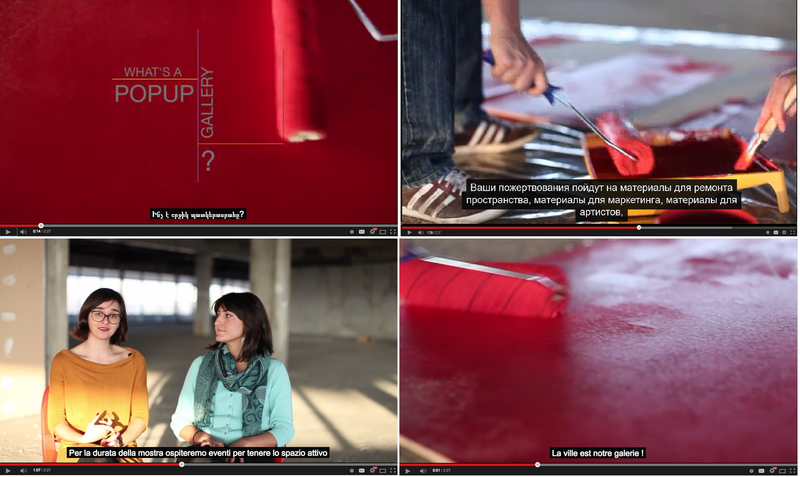 Photo credit: I guess I could credit myself for those perfect screenshots, but really the video was shot and edited by the amazing Kohar Minassian, at the Tumo Center for Creative Technologies. We continue rollin’ as we do: this week we are planning meetings with artists, partners and potential funders. 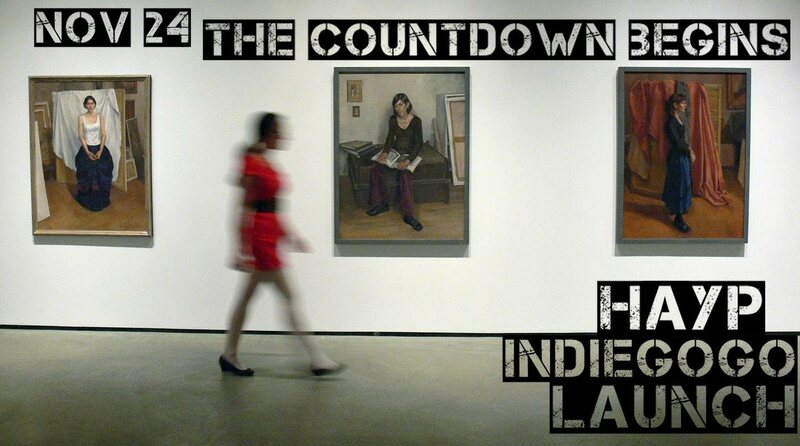 We’ll continue working on our first exhibition, and spreading the word about HAYP in general. You can also share the campaign or this article with your loved ones, your friends, your colleagues, your life partners.. and also with people you don’t like that much… we’re not really picky. Everyone can make a contribution, even starting with $1 !! Behind the Scenes – Video making-of!